Today happens to be my birthday, but I want to share about this past weekend! Last Thursday my husband suggests that I pack a bag for the weekend, but won't give me anymore information. Friday, right after work, we drop the kids off with Grandma and Grandpa and hit the road. He has me drive, turns on navigation on his phone, and laughs as I follow the little voice telling me when to turn, while I shout out guesses of where we may be going. Eventually, we turn off the highway in Globe, one of my favorite destinations for "pickin". I follow the navigation until I hear "Your destination is on the right." This is the Noftsger Hill Inn and it is SOOO cool! 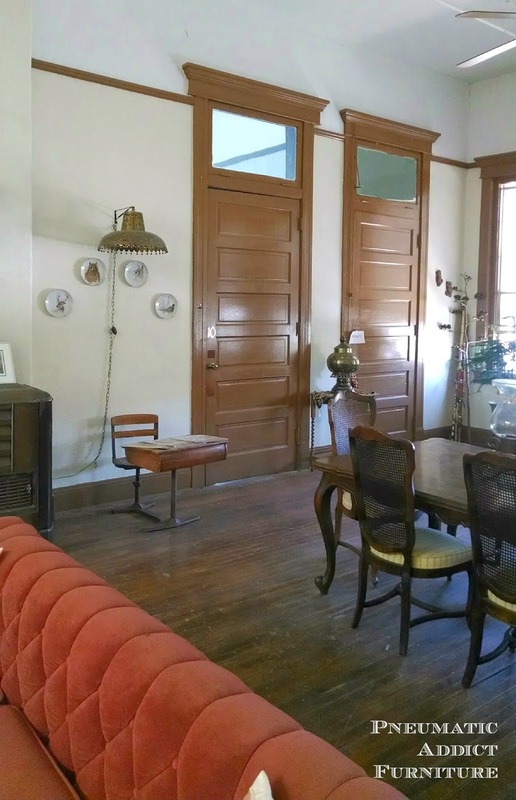 It was originally a schoolhouse built in 1907, and now its a bed and breakfast. We knocked on the door and were greeted by the owner, Rosalee. "You must be Bryce and Elisha! Welcome! Let me show you to your room." Pardon the grainy phone pics. That's what happens when you're surprised with a trip somewhere awesome. This is just one half of the room! Seriously, it was enormous! 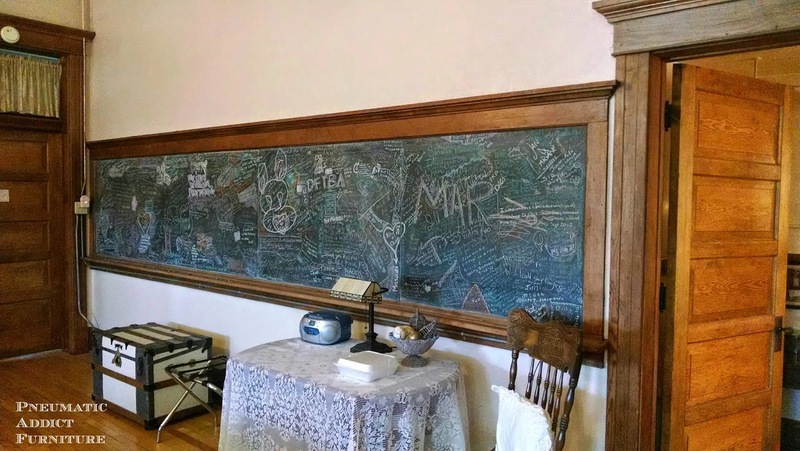 Each guest room was an old classroom, complete with original chalkboard. Bryce and I did the math and I'm pretty sure this room was bigger than our first apartment. No joke. I didn't get a photo of the bathroom (originally the students' coat room), or the HUGE claw-footed tub, but I did snap a photo of the chalkboard. Guests are encouraged to leave a note documenting their stay. 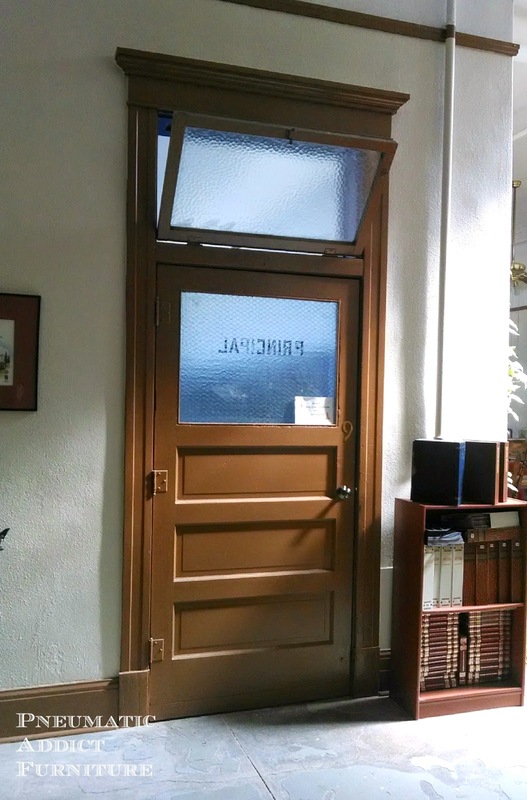 I saw one entry that said "I was 11 years old, sitting in this classroom on November 22, 1963, when they announced President Kennedy had been killed." The floors of the main lobby creek and groan just like the should. I just couldn't get over how cool this place is! Here are a couple of the upstairs class guestrooms. How would you like to spend the night in the Principal's office? In the morning, we made our way down to the "Kindergarten Room" and ate a delicious breakfast. Before we left, Bryce made sure to write on the chalkboard. With that writing, good thing he is studying to be an engineer and not a surgeon huh? I was given a generous budget, and we hit the town, looking for thrift shops and antique malls. If you are from Phoenix and haven't been to downtown Globe, you seriously need to go! I'll warn you, it is pretty run down in areas, but what's there is so amazing! We went into a an ice cream shop (that only had 6 flavors), and sat at the counter while an 80 year old man took about 20 minutes to make us a malt. I loved it. That's what vacation in a little town is all about. 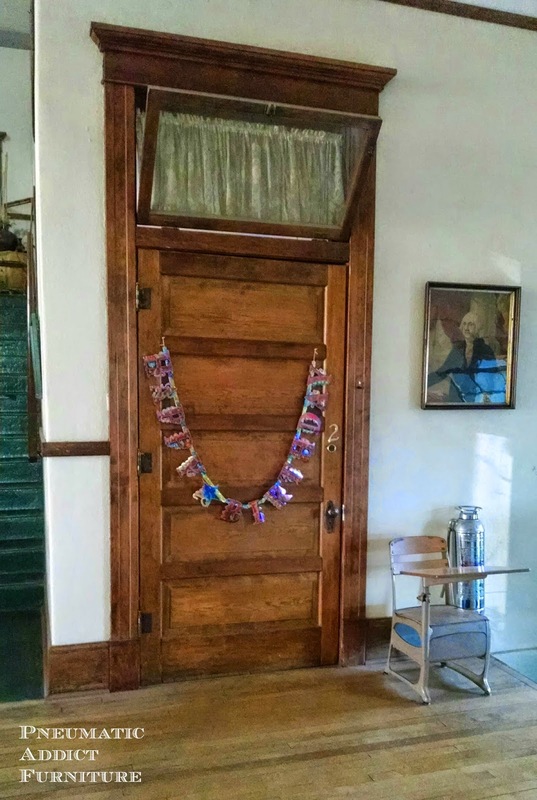 I've lamented on the blog before how it's so hard to find anything really old in Arizona. I guess that's why I love Globe. Its the exception. I would love so much for Globe to be restored to the thriving town it was during the mining boom. Although my "spot" for finding good junk may disappear, I want to spread the word so maybe more people will visit and help boost the economy. I promise, one day when I'm rich and famous I will donate a boatload of money to the Globe Historic Society. It's here in writing people. 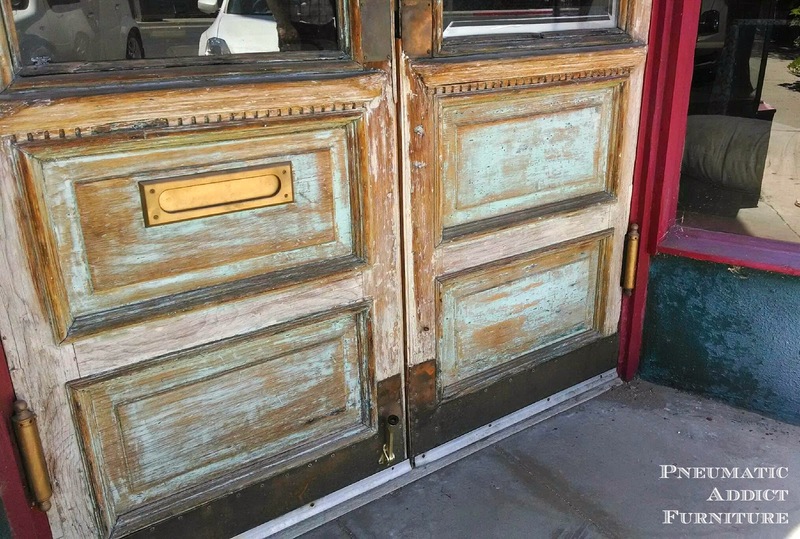 Just look at the authentic worn paint on these doors! So what did I find on my pickin' trip? 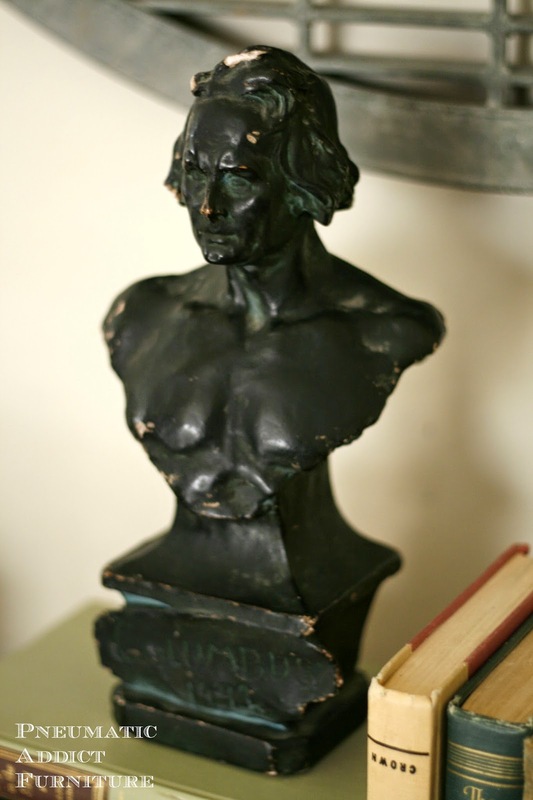 Just a few cool things, like this Christopher Columbus bust. 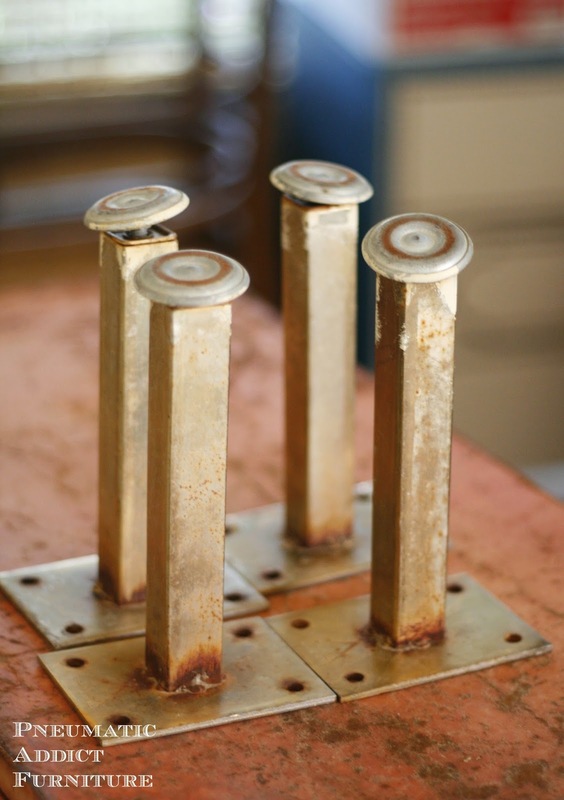 And these brass, Mid-Century furniture legs for $10. They will be so awesome once they are cleaned up. Do you see what the legs are sitting on? Yeah, I'm pretty much in love. I'll be sharing that piece with you once I get it all cleaned up. Its pretty sweet. So does my husband know me or what?! I could not have thought of a better way to spend the weekend! Such a cool experience! We stayed at that bed and breakfast once! I think we stayed in the same room. Was it on the front of the school? We loved it too. It is rumored that it's haunted. The other guest were a group of elderly people, after some fun discussion at breakfast one morning, I stood behind the lace curtain and they took a group photo infront of the window. They were so excited to go home and tell all there friends about that ghost girl that showed up in their photo!! It was too funny. 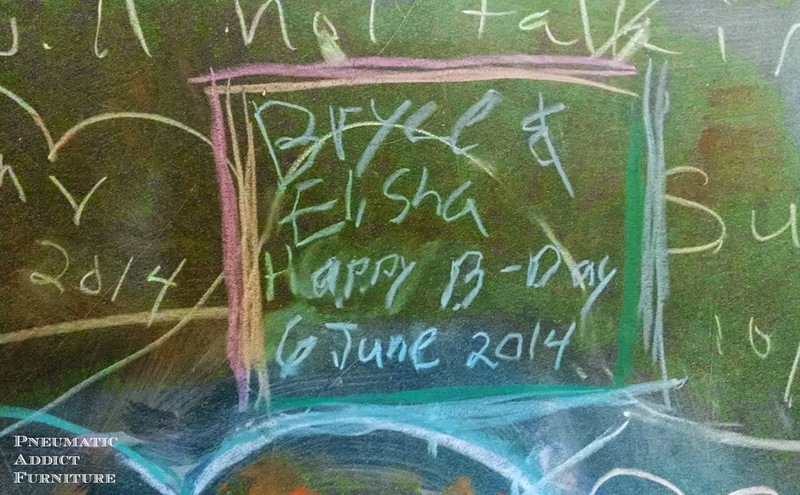 What a wonderful birthday surprise Elisha!! Happy Belated to you!! 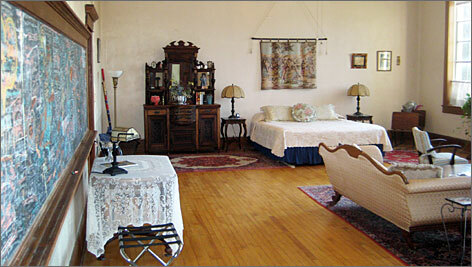 Sounds like you had a great time, and I love the old school bed and breakfast, so cool!